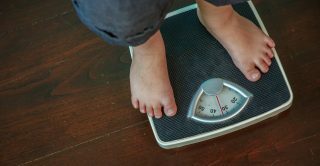 Three harmonised datasets, which contain comparable measures of height, weight and BMI from five separate longitudinal studies, are the first to be deposited with the UK Data Service. Funded by CLOSER, researchers from the MRC Unit for Lifelong Health and Ageing at UCL recoded measurements of body size and composition, such as converting from imperial to metric, so they can be compared across different generations. They harmonised data from the 1946 MRC National Survey of Health and Development, 1958 National Child Development Study, 1970 British Cohort Study, Millennium Cohort Study and the Avon Longitudinal Study of Parents and Children. The complex process, by which the datasets were harmonised and made available through different licence arrangements, will also act as an exemplar for future dataset deposits. Lead researcher, Professor Rebecca Hardy said: “Using the same data processing and cleaning procedures for height and weight collected across five generations has created a dataset that will allow researchers to carry out cross-cohort analysis more easily. Professor Hardy and her team have already used the harmonised datasets to analyse levels of obesity in Britain, and found that three generations of less advantaged children faced a higher risk of obesity in middle age than their better-off peers. Download the harmonised datasets from the UK Data Service website. Find out more about data harmonisation on the CLOSER website.